To help a child, you must also help their family. When a child comes to us struggling with trauma, abuse, or neglect they often don’t see how their pain affects their parents and siblings. That is why we are proud to be the only certified provider of Functional Family Therapy ® (FFT) in Idaho. 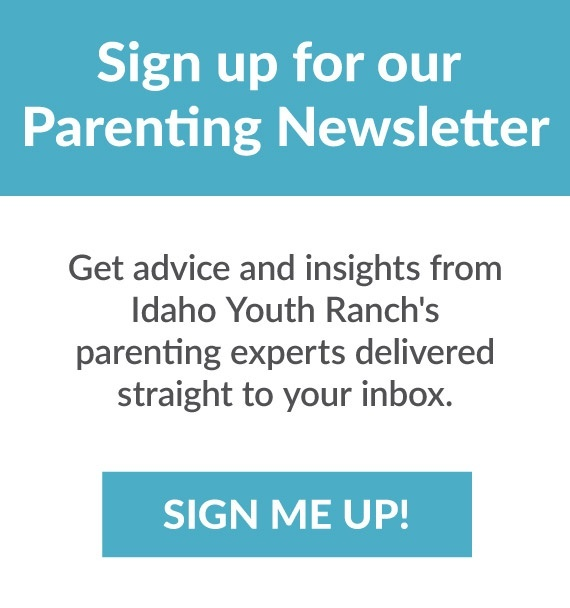 Idaho Youth Ranch has helped over 2,000 families through the highly effective and evidence-based intervention of FFT. This approach breaks down walls of anger, resentment, and frustration in families and rebuilds relationships based on respect and healthy communication. What does that mean for Idaho’s families? Studies show that healthy families create healthy communities everywhere. After nine months of living in a shelter, with her husband incarcerated and her children in foster care, Janine managed to find housing and a job and finally got her kids back. But the family’s challenges were far from over. All that upheaval and uncertainty was tough to bounce back from. Sibling conflicts and even violence erupted and became daily occurrences at home. Janine felt like a failure, a “bad mom” who didn’t know how to set ground rules for her children or stop the fighting. She turned to IYR Family Counseling for help. The well-practiced professionals on IYR’s Family Counseling staff know that patience, empathy, and especially creativity are keys to helping clients break old patterns and create true change in their lives. Parenting is not always easy. But family support and communication are essential ingredients to a promising future. IYR’s Family Counseling services have helped hundreds of Idaho families find positive solutions to family challenges. When a teenager acts out, sometimes he or she is not the only one in the family who needs to heal. At Idaho Youth Ranch we're committed to treating the whole child, not just one symptom or issue. And in many cases, that also means treating the whole family. Thanks to the coordination bewteen IYR's Anchor House and Family Counseling programs, a family in southern Idaho is finding a new direction together.